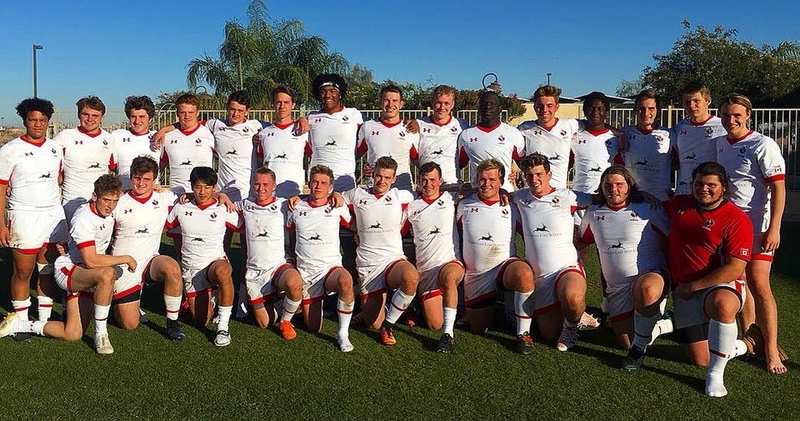 Last December Canada sent two U18 teams down to California to play the USA Blue and Red teams. Canada went in as Canada Red and White. USA Blue were the dominant team, winning both matches against Canada with an overall 73-13 differential. Canada White lost both matches while Canada Red managed a tie and a loss, drawing even with USA Red. This summer 24 are selected from that group of 60 to play three matches against the best from USA. The first two are trial matches and the third match on July 14th will be streamed and considered an international. The coaches remain the same Mike Curran, John Lavery and Scott Manning. Gethin Watts is introduced as "Rugby Canada’s Performance Director for Age Grade Programs". Last summer his title was "Program Leader" of the Canada U20 men's program and the year before he was, "Age Grade Manager of the Welsh Rugby Union". There's been no official announcement by Rugby Canada on the new position and hiring. The last update from May 23, 2018 stated, "Rugby Canada is also delighted to announce that Welshman, Gethin Watts will be consulting our age-grade and talent identification departments on a short-term contract."